Support Singapore! 加油 Singapore! Gambate Singapore! paulchensc supports Singapore's bid to host YOG 2010. 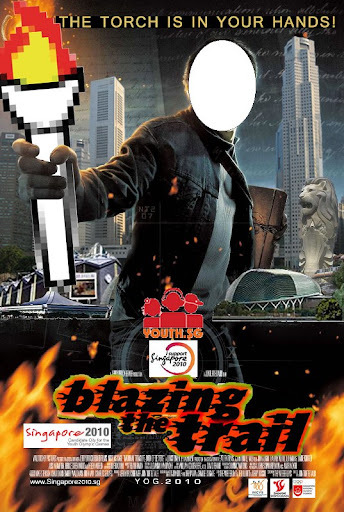 Singapore 2010 - supporting the 1st Youth Olympic Games (YOG) to be held in Singapore. 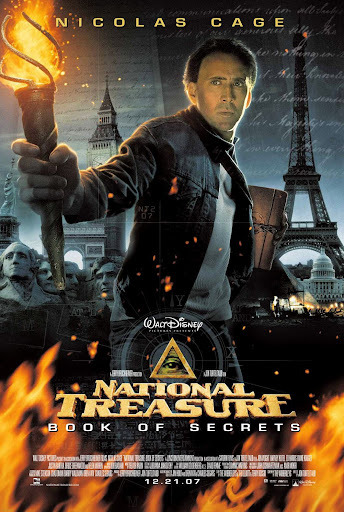 Adapted from the "National Treasure: Book of Secrets" Movie Poster. the inaugural Youth Olympic Games 2010. Singapore Flyer - a new Singapore Icon, opening in March 2008.
iLove.SG - supporting local products. GetSingapore.SG - supporting local merchandise. @ Eastern Coastal Park Connector Network. 22 Feb 09 (Sun), morning, at F1 Pit Building. 5 - 8 March 2009 (Thur - Sun), at Tanah Merah Country Club, Garden Course. 31st May 2008 (Sat), 8pm. Volunteers recruitment drive will begin on 2nd January 2008. 1st June 2008 (Sun), Volunteers report @ Padang, Volunteers Tent, 6.30am. - Assist in the distribution of medals, towels and mineral water bottles to the runners upon completion of run. - Assist in crowd control and ensure orderliness during the distribution. - postponed - 29 June 2008 (Sunday), 4am. 23 August 2008 (Sat), 11am - 8pm (race starts at 1pm). - discover Singapore on foot and by public transport by conquering challenges around the city. - Part scavenger hunt, part urban adventure all rolled into one memorable and unique experience! - Assist in manning the ChasePoint and providing participants with instructions to ensure they understand and safely accomplish challenges. - Identify and report teams not following rules. - Answer any queries from participants. "Be Part of the World's First Night Race in Singapore." An online forum to allow all the senior and general officials to communicate, get to know each other and exchange of knowledge or ideas: www.sgpvolunteers.com. This team controls the Support Paddock and the Marshalling Area. The Marshalling Area is where the Support Race cars form up before going on to the track. - Assisting with the smooth transport of Runspiration Teams as well as Runspirators (public) to the various cheer points. - Handling any crowd control issues/logistic matters along the designated Runspiration Points. - Packing, storing and transferring Race Entry Packs. - Maintaining cleanliness and tidiness of the packing area. All applicants can expect a reply from September 2008 onwards and we will be recruiting volunteers up till April 2010. Regatta days: 12th, 19th & 25th of August. Adopt a racing duck and raise funds now!